I'd love to share it on our comments page! Scroll down to read what others have to say. After a little initial hesitation, Farley (Xanadu x Mosaic) is showing his curious and affectionate personality. I am so impressed with him, and the job you and your family did handling him. Simba's colt (by Maverick) made it to New Jersey today! He's such a sweet guy and I'm already in love with him. Thank you Lois, Michael and the crew! The Sweetpea (Maverick) colt now Valentino arrived safely with his brothers. He is what you said and more! Thank you TVR, Tully (Ghost x Peacetime) arrived safe and sound and he is perfect. He has let me snuggled with him and seems to be settling in as are the other two babies from TVR. Thank you Lois and family for an amazing job! Connery (Freya x Peacetime) is all settled in. Everyone love him.....cannot wait to begin the new journey! Another TVR's Sophie (Orchid x Peacetime) delivered safely and in very good condition to Saint John, NB. Thanks to Lois and Michael and family. Hi Lois, Carolyn and I would like to thank you for the three wonderful Mosaic babies we purchased from you in 2010. All three have wonderful conformation, lovely temperament and fantastic movement. Raphaela has such a beautiful floaty trot with so much extension! I can't get enough watching her move. Gianni is so drop dead gorgeous and has such amazing power! Sadly, Carolyn won't let me have him :-). Thank you also for all your help with the registrations. I must admit I am already drooling over your 2011 planned breedings - might be back for another baby in the future! Keep in touch and thanks again for everything! Hey I have a 1/4 percheron paint that came from your farm, he just turned 3yrs old in may and is the greatest horse that I ever could have asked for! he hurt himself and was lame until this august, since then I have backed and rode him about 10 times... he is not spooky at all and listens to just voice commands to whoa, walk on, trot, and walk from a trot!!! he amazes me with HOW smart he is. his sire is Quincy... Dash has a "floating" trot that would excel SO well in dressage or??? (I am just a trail rider but am thinking of taking some lessons in some other disciplines to show this guy off) he also free lunges over 3" jumps!!! THANK YOU FOR SUCH AN AMAZING HORSE!!! I will send you pictures if you want some for your site! Beautiful horses! Reserve a couple 2011 filly's for me! Your horses are some of the most beautiful I've ever seen! We have a Belgian cross mare and I would LOVE to breed to any of your studs... or just buy a bunch of your babies! Every year at foaling time, I check your site constantly for updates. You should definitely make a Facebook page to get your name out there and to show the world your beautiful babies. They are truly breathtaking! She is stunning. I love your web and further comments would be on the same string so I'll just leave it to those 4 words to explain. We have been so thrilled with our 2009 twin girls, Gypsy & Jewel, now known as Porsche (Black & White) & Mercedes (Black) out of Stormy & Tonto. They are 15 months old now, and doing wonderful. We taught them basic manners, picked up their feet, leading and grooming and having their feet trimmed. After that, they were turned out all summer with our mares to be babies. Porsche measure in at 14.3 and Mercedes is at 14 hands. They are so trusting and loving. My husband Jon has developed such a bond with the girls, they follow him anywhere. This fall, we will start Porsches ground work. Mercedes will get until next spring just to ensure her legs are doing well. I don't push them, because they still have a lot of growing to do. You have given us a very special gift, two actually, and I cannot thank you enough. I will send pictures I promise. I know where we will purchase our next draft cross, and who I will recommend to my friends. Been watching this site for a few years and always love the foals I see every spring. Waiting till this September for the prices to go down. Hopefully the foal I got my eye on is still here. I would be really interested in seeing some of your horses out of your stallions and mares as adults. just label the sections as "peacetime's progeny" and Mosaic's progeny" etc. It would round out the picture of what type of horses you produce. I've had my Twinvalley baby for two years now and she is the light of my life! Very sorry to hear about Tonto! RIP I hope his journey home was peaceful! R I P Tonto, what a fabulous horse he was, and producer of so many wonderful foals over the years. So sorry to hear of his passing. We have had our two babies home now for a week - they are absolutely stunning and so calm. Tucker and Maggie traveled all the way across Canada to us here on Vancouver Island. They arrived in great spirits and have settled in so quickly. We would highly recommend any horses from Twin Valley Ranch! Our two are out of Mosaic and Peacetime. They are gems! Also, we hauled with G and H Haulers out of Ladner, BC. I wouldn't hesitate to haul with them again - they were super caring. Thanks so much to Lois and her family for giving our babies life and a wonderful start! Once again I am thrilled with my foals from Lois this year! After having Juno out of last year's crop (MosaicXQueenie) who far exceeded my expectations and is now in Utah to develop into an upper level eventer, I really didn't think I would find another of equal quality this year! Mosaic is proving himself a valuable stallion, the temperaments and movement on theses babies are just outstanding! Crosby (MosaicXDutchess) is from this year's crop, and she is lovely! The biggest, loftiest canter with balance and rythym already!! If you are looking for a talented sporthorse, with a great temperament, conformation and movement, keep your eye on next year's Mosaic crop! even though "Odin" is not so happy about giving up his baby spot on the farm. And I am certain that "Ano" is smiling at all of us from his window in heaven. Long live the Twin Valley Ranch ponies!!!! Oh wow! Your horses are AMAZING!!!!! I say drafts are Gentle Giants!!! We can't wait to get our boy home and start working with him! forward to our delivery (also arranged by Lois) of Vegas in September. so now I own one of your foals and I LOVE HER! Just a note to say that I enjoyed looking at your website. My children have all been/are in Pony Club, so I enjoy looking at jumping potential. I was amazed at the twins! I love how great a lot of the horses conformation is, which makes them that much more desirable. I just wanted to say, I think you have got some of the most beautiful horses around. i'm in love with paints and wish you all the best in selling and healthy horses! - Devon Saxby - Nova Scotia, Halifax. Hi, I've been watching your babies for three years now. I love to see the new foals. Hopefully some day I will be able to purchase one for my own. I am thrilled for you with the twins. Just a suggestion for the twins.....how about Jessica and Brooklyn! seems perfect and a great way to honor your lovely girls. I love your horses and am falling in love with a few of them...and congrats on your twins!! I purchased a percheron filly out of Classy sired by Baxter in 2007. She will be 2yrs in may and I couldn't be happier with her. She is in love with my golden retriever and He feels the same. She is kind and gentle and willing to do anything. I can't say enough about her. Thank you Drielick family sooooo much! I reccomend you to anyone who asks where she came from. I can't wait to start ground work this spring! Thanks again! I recently purchased a 4 month old filly from Lois and I am totally in LOVE!!!! I was undeceided on what I should purchase and when I told Lois that I was interested in a foal that would make a dressage prospect she suggested the Big Blue/Mosaic filly. When she arrived at my home( after spending 5 days ) on a trailer, she was all that Lois had said and MORE!!! Temperament is definitely a 10. Color a 10 and movement a 10. She is soooo smart and bonded with me right away. Since she arrived Lois has been right there to answer my emails if I have any questions or concerns. I will be back in 2009 to buy another TVR foal!!! thanks Lois for making my dream come true. I finally decided on Queenie's filly by Mosaic in 2008. Juno, as she is now known, is a filly that has already made such an impression on me after only one week. with a quiet curious attitude. She has been in a stall for about a week and today I decided to take her for a little walk for the first time. Normally I would expect a foal stalled for a week to be a bit excited (let alone one that isn't really halter broke yet). walked-on with very little coaxing from me... just a gem! I am totally smitten with this special girl. Mosaic seems to throw outstanding temperaments, size and colour! Juno measures a little over 14 hands at 5 months, and she has several siblings that are bigger!! I highly recommend a foal from TVR!! i luv your horses, foals, & colts their so beautiful. HI!! I would love to come visit. I have always dreamed of owning horses. My husband and I where just given two. We are learning. He loves Clydesdales and really wants one. One of these days. Right now we have a paint mare and a curly. I enjoy checking back on your site and seeing the horses from each year. I bought one of Tonto's foals from 2004. I am happy to say that Diesel is jumping 5 foot fences with ease and has a wonderful disposition. At 17 hands he is powerful and playful. You have wonderful horses. Just bought a filly from TVR> haven't got her home yet but I can hardly wait!! Lois has been super to deal with. I guess I can say that TVR is a place where "dreams do come true"!!!! thks Lois for helping me make "MY" dream come true!! Your horses are really nice. I'm thinking of getting a horse after college, I'm definitely contacting you about getting a foal then. Hello! My mother purchased Royal Champion 'Champ' for me, and he is an amazing horse. We have already bonded like crazy, and I love him to bits. He is gentle, kind, and I have never sat a canter like his! I wouldn't trade him for the world. I get comments from people saying how shiny and beautiful he is :D! Champ is very special. HI! These are Fabulous horses! I rescued a draft/bred/mustang? cross and she's a darling. She could be Champ's sister. Same shorter neck, big body and totally bold spirit! Smart, FAST, level headed and came back from her neglect with amazing grace. I would recommend the draft cross to anyone looking for a family, hunting, trail horse ... well any use! Twin Valley Ranch has fabulous stock! Excellent combinations of breeds! WOOHOO Sport Horses! In 2007 I purchased Daisy's spirited colt out of Apache and due to a unique patch on his neck my husband named him "Moose". Along with him I bought a sturdy filly out of Candy and Buck whom we call "Molly". Moose was somewhat shy at first but Molly was tolerant and patient with my grooming and attentions from the start. Seeing her lack of fright it took less than a week for Moose to become a darling who was also tolerant but affectionate as well. Within that first week they learned not only to be groomed all over but also to allow me to pick up, clean, and trim hooves, to be walked up to in the open, haltered and led along quietly for walks, to come at a whistle for a carrot or bucket of oats, and to go back to the stable on their own come dusk! All in all I am utterly amazed at how intelligent, charming and gentle they are and would highly recommend any interested people to obtain one or more of TVR's fabulous foals! They are truly outstanding! I just purchased SS Black's 2007 filly by Apache. She is the smartest, most level headed young horse I have met. She also has beautiful movement and great conformation with long straight legs and good clean knees. She is such a pretty little thing (well not very little! LOL) and I am SO SO SO happy to have her! People keep asking me why couldn't I have found a foal in my area, instead of purchasing from half way across the province, and I tell them I wouldn't trade her for a second. I am very pleased with my decision to purchase from Twin Valley and I plan to again in the future. Lois was very helpful and understanding and kept me updated as much as possible until I was able to bring my girl home. I have named my filly TVR'S Classified Elegance aka "Classy"
Hi, I was looking at your website and you have got some gorgeous horses!! Hi, I'm from Manitoba too and your site is awesome. I've wanted to buy a horse for sooo long now but my dad won't let me (I'm only 13). But anyways your site rocks!!!!!!! I just wanted to say how much I enjoyed the vacation at your ranch. I have been on 3 before and yours has by far been the best. I would have enjoyed the visit just for that experience alone! your babies were even better than I expected. I now have a huge bank of reference photographs for future paintings. Your stallions are all fabulous, but the highlight for me was photographing Buck. metallic gold hide of his shining in the sunlight was unforgettable! The scenery around the ranch is gorgeous, there was so much to photograph there too..... and Lois, your meals are just delicious! Thank you Lois and Michael for opening your home to us and making us feel so welcome. You are raising a family to be proud of there, in fact you are all "smashing"! I took part in the ranch vacation this year and it was awesome! Lois, Michael, Jessica, Brooklyn, Hanna and Zane are a wonderful family.... you made me feel like I was part of the family. Thanks so much! Your "Ranch Vacation" was so much fun.... I hope that there will be more in the future! I would definitely come to your ranch again! A great family, a gorgeous farm and surroundings, exceptionally beautiful horses... what more could a person want in a vacation? I LOVE your website. I am a photo-buff and some of the shots in your gallery are outstanding! Your ranch looks like such a lovely and peaceful place with so many friendly people and horses. Maybe one day I will visit Manitoba and stop by to see you! Your horses are beautiful - I can't wait to purchase a baby of my own (hopefully in 2008)! I just recently stumbled onto your site and I'm now hooked on your Dreamer X Lil River filly ... hopefully I'll be able to do "business" with ya'll in the future. Keep up the great work and the obvious love ya'll feel for each other and your horses. Sue Galvan gave me this website. I have to just tell you that this is the best site I have ever seen. You have the most beautiful horses. I couldn't stop looking at them. hey yall! this is sara! just wanted 2 say hey and tell yall that if u want a horse get it from here! i love this site! well k bye! I just love all the pictures. The babies are beautiful. Just came across your site while looking for draft cross. You have some beautiful horses. Hey, everyone! I love this site! Even though I've never bought a horse from here... everyone I know says that they sell great horses! I hope to one day get a foal and train it myself! That would be awesome! Well, I hope y'all find great horses from this site and if the horses on this site don't work out I hope you find the perfect horse! So y'all can enjoy having the perfect horse as much as I have. Thanks for reading this comment! for a happy foaling for all the rest of them. I absolutely loved your website. Such a beautiful place. I will visit again. It was so neat to be able to come and visit TVR, Michael and Lois Love their Animals so much and take such great care of them. I wouldn't have ever thought to buy a horse on line, that I hadn't met before, but these horses are a dream come true! So happy and well bred, Thank you so much for these wonderful horses! And I can't wait to see Bucks babies next year! My family bought Dutchess' filly and have never had a better behaved and gentle horse. So thank you Lois and from my experience TVR is the best place to get a horse. The babies all looked wonderful this year. Tyson sure shaped up to be a amazing looking guy. I still look at the website at least every week. I love your ranch and your horses. Thanks for the great tour when i was able to stop last spring. my name is britt or brittney. I'm a horse loving nut! and i have a horse. i am a rolling hills saddle club champion! my friend sara is typing for me over the phone tonight! i think horses are so beatiful. i do jumping, western, and english. my horses show name is "Stars Superstition", but his barn name is Ruccus! hope all of you read this message and go to a rolling hills show! Thanks! hello, I am on my 3rd choice of foals, as I fall in love with them all and have a hard time deciding which to get. Lois is wonderful to help out with this problem and works hard to get the right foal to the right person and is very understanding with people changing their mind. thanks Lois, for helping me . I will tell everyone to contact you for a great riding horse and good people to work with. Mildred from Savannah, Ga. Although this is my first year to purchase, I have visited this site many times. I am getting a Pal filly, and can hardly wait. The site is very well laid out and I plan to refer others. Hi my name Darrell your website is cool. I like all the horses. Hi Lois, it's Steph, Karen's daughter and I like your site, its very cool and all my friends luv the pics and you are a awesome photographer. Maybe one day I will come down and see you and the horses and family. WOW WHAT AN AWESOME SITE!!! 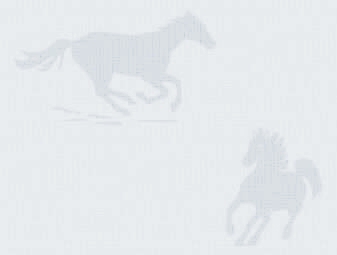 I just happen to stumble across this site, and started browsing through all of your wonderful horses, I reserved one of your foals and cant wait to bring her home. I'm sure that I will buy more foals from you in the future... I have yet to come across a horse site that has so much work put into it. I DEARLY ENJOY YOUR SITE, I GO TO IT HAS MUCH HAS I CAN WHEN I AM AT WORK, WHERE I CAN HAVE USE OF A P/C, YOUR RANCH IS AWESOME, I LOVE ALL THE HORSES, I DON'T RIDE MUCH ANY MORE, BUT I STILL LOVE THEM AND HOPE SOME DAY TO OWN A DRAFT CROSS, I THINK THERE'S NOTHING LIKE THEM. This is for anyone that might be thinking about buying a baby from TVR. Don't hesitate!! Lois is wonderful and will answer any questions you might have and will give you GREAT advice on which baby will suit your riding needs. She will send you pictures from any angle to help you "see" your baby, and when it comes time to ship, the ranchers use VERY reputable people to bring your baby home. This is a wonderful way to have a quality horse!!!! Hi, my name is Shelly and we purchased a Belgian/Arabian cross from Twin Valley Ranch. I just want to let everyone, that looks at this site, know, that the pictures didn't do her justice, She is totally Awesome.....Lois the whole time kept in contact with me and told me everything I wanted to know about the mare. This ranch comes HIGHLY recommended by me you can contact me at TODDSGIRL@cs.com if you have any questions. I love your ranch. It is a place where I can go to get away from these akward teenage blues and have a great time. I love the outdoors along with animals and I always have, thats why I love coming up there as much as I can! Yall Rock! You have adorable foals and I really like one of your studs "Buck"! Aloha! While looking for Belgians /crosses, I came to your website. What a bunch of beauties you have;I'm dreaming now. I thought I lived in a paradise, but, I see you've got your own beautiful corner of the world with some very gorgeous horses. Your care and hard work shows through. Mahalo. Howdy yall im kristen and i love horses i love this site. receaving him/her and hope that you can find homes for the horses you can't keep. I would just like to say that you have some of the most beautiful horses I have ever seen. You obviously take good care of them. I live in the United States but my mother was from Vancouver Island. I had an opportunity to visit Canada with my mother before she passed away and I thought this is where I would like to live one day. You are very lucky to live in such a beautiful area and have such beautiful horses. I just thought I would say Hello and comment on your wonderful herd of horses. Hello I come from The Netherlands, and I like this site very well. I have a horse too. His name is Ryan and he is a pretty horse. The little foals on this site are really cute! Beautiful site and keep up the good work! MY NAME IS SARA CATHERINE. I AM 12 YERAS OLD. I WOULD LIKE A GIRL OR BOY TO BE MY INTERNET PEN PAL. IF YOU WOULD LIKE TO PLEASE EMAIL ME AT GoForTheBlues11@AOL.com. THANK YOU. PS- I AM A GIRL. WELL PLEASE EMAIL ME! and they are great! They have beautiful babies now and they are just wonderful. Very pretty horses! hope all of yall are good and hope your family is good also. This site is so cool and i love it. the horses on this site are beautiful. the little foals are so cute. i wish i could have a of the horses on this site. all of the comments that you have on this site really show how much yall and your horses are appreciated. so far yall have done nothing for me to not trust this site. yall have a great night. god bless yall. i love all of yall! Well hello! I'd just like to say that i have looked at this site many many and many times before! Every picture you guys have on your site its AMAZING! There have been many times where i have fallen in love with a few of your young horses that you have for sale. I hope to look forward to speaking with you in the future...cause guaranteed i'd love to purchase one of your foals from you. The comments that you have on your site, really express how much you and your horses are appreciated! I look forward to speaking with you when i make the decision to add to my family. I would just like to say that finding a Pmu operation that takes such good care of their horses as you guyz have is like trying to find a needle in a haystack. It almost brings tears to my eyes. I honeslty have to say that i wouldn't back up the PMU industry but your horses look fantastic..really fantastic. Your horses look in great conditiona and they are truely lovely and your foals and stallions...WOW. I would like to say that the horse industry is truely blest to have horses owners like you guys. If every one could treat horses like you guys (even tho i haven't seen you with the horses but i trust that they are treated with respect) the horse world would be a whole different place. Right now i am trying to fight for the freedom of about 3 horses that are in desperate need of help to get away from where they are living. so far it isn't looking good but i'm not giving up!! i saved my horse but i believe i can save a couple more! GOOD LUCK with your horses to come. And WOW our doing an amazing job..keep it up! MY NAME IS SARA! I HAVE TWO HORSES! THIS IS A AWESOME SITE! I LOVE IT! THE HORSES ON THE SITE ARE BEAUTIFUL! BUT I AM A SUCKER FOR THE FOALS! I BEGG MY PARENTS TO GET ME ONE OF THE FOAL, BUT EVERY TIME I ASK THEM THEY SAY NO! HOPE YOU LOVE THE HORSES TOO! IF ANY ONE WANTS TO E-MAIL ME ONE OF MY E-MAILS IS GoForTheBlues11@Aol.com or HorseFreak4500@Aol.com. I WOULD REALLY LOVE IT IF YOU WOULD E-MAIL ME! your horses in all the pictures are sooo beutiful. You guys are soo lucky! Hi,my name is *SARA*! All the horses on this site are BEAUTIFUL! One of my friends, friends got a horse from this site, because her barn burned down and some of their horses died and they wanted a new one. I wish i could have buy all of the horses on this site, but i already have two horses and I am not able to have any more. I can't wait for the 2005 foals to come the will be just as beautiful as all the other horses on this site! Have a merry merry Christmas! My e-mail address is HorseFreak4500@Aol.com if any one who visite's this sight wants to e-mail me about anything! -*SARA* United States of America, Georgia. If you have never been on this site before, you will love it. They have the beautiful horses and the cutest little colts and fillies you could ever see!I wish I could by every horse, filly, and colt on here! This is 1 of the best sites in the whole world! I can not wait till the 2005 foals come out! Thanks for putting a smile on my face tonight! My e-mail is HorseFreak4500@Aol.com if any one wants to e-mail me that looks at the comments list. Hi, I'm Holly from ontario. Your horses are so cute!I have a quater horse gelding. But I also always wanted a baby paint and I love all of yours. Well Michael and Lois you have done it again, another great year for foals, as I said before I can't tell you how happy and I am with the two I have purchased from you, I got Black Tie Affair and my friend Joe had Bardot, Inspected and Branded with the American Warmblood Society, it just shows how good your breeding is. Any where that we have taken our horses we have been complemented on how wonderful they are, keep up the great work, can't wait to see next years foals!!!! Hi my name is Jordan, all your horses are BEAUTIFUL. I cant wait to see your 2005 foals. If you have never been on this site you will love it. It has so many foals and horses. I wish I could buy all of the foals and horses because of their beauty. I just have to say that this has been a fantastic experience. Having started out with one and ending up with three,(!) I feel confident in highly recommending you and your horses to anyone. Dealing with you has been an absolute pleasure as you are informative, fair and SO helpful in every way. And of course, the quality and temperament of these foals are exceptional. Again, I would recommend you and your foals to anyone! Hey I just wanted to say you guys have some BEAUTIFUL babies! Lois, had to send you a more personal thank you, but am almost at a loss for words. and I just couldn't be more thrilled with mine. You are a true standout in the industry and I am so impressed. certainly always be checking your website...who can resist! Wow. I was surfing the net trying to find "some poor PMU horse to save" and ran across your site. All I can say is... I think my opinions have changed. I know some of the rescue groups tend to glorify their work, but I had no idea how wrong I could be. Your mares seem to be in wonderful condition, and I looked CLOSE at the hooves in the pics and didn't see any of the horror stories I've heard about. Your foals all seem to be selling well, and I see you are selling last years yearlings as well, so I assume none of your horses end up in public auction or go to slaughter. I'm really impressed. I have a question, since the PMU cutbacks... are you planning on selling any of these lovely mares? I love the foals, but I would rather NOT have to wait 4 years to have a ridable horse. need for the PMU foal "rescue" groups. This is great and I hope to buy one of your foals this year. Your horses are absolutely beautiful. I'm the one who bought Thunder from you. He is doing great! He's sweet and I'm glad I bought Thunder from you. Thanks a lot Lois. Oh and you have great horses on your site. This a wonderful site! I LOVE IT! Ya'll have beautiful horses and foals this year! I wish i could have one of the cute little foals. But i can't have one. I can't wait to see next years foals. Thank you for making our buying experience with you so easy and straight forward. I love my new mare and colt and they are doing excellent. and allowed us to properly care for our new mare. A wonderful site, well organized and easy to navigate. The sire pages connecting with the mares and foals is a great setup. Would love to one day own one or more of your little ones. Keep up the good work finding homes for your beautiful horses. I have to say, that I absolutly love your foals, they're all so adorable! I am hoping to buy one of your lovable little fillies!! Great web site as well! We can hardly wait to see next years babies with Quincy and Peace. You have a very very nice website, many people from my barn have bought yearlings from you and they're so nice! Keep up the good work. Hello to all at Twin Valley Ranch! I fell into your web site via a post from PRISM! I was suppose to be working tonight but couldn't resist the temptation to visit your web site. What a delight......I have enjoyed the evening viewing all your horses and learning about your family etc. I own a Cleveland Bay, Belgian, Paint mare out of a TB. I really, really love seeing all your draft crosses........they are all so wonderful.........and suited for so many diciplines. People ask me all the time what my mare's breeding is and where she came from etc. I have owned my mare since she was just a 3 yo. time passes too quickly and now she will be 15.....and I am getting older too.....She is my Field Hunter, the very BEST!!!!!!! I look foward to visiting your web site and dreaming ....all the horses that are on the site are outstanding....!!!!!!!!!!!!!!!!!!! I will most happily pass on any inquiries about draft crosses etc. to your Twin Valley Ranch. My sincerest congratulations on a job well done. It is refreshing to see such a well-planned, thorough web site to showcase your fantastic herd. I can't imagine how much time it must take to keep the web site up to date - especially during foaling season. It's great to see a family take great pride in their animals and take the job of marketing so seriously. I'll be in touch about the filly I want! I just wanted to send you all a quick note to let you know how Ano is doing! He is stretching up at 17.1 and is turning more and more grayish everyday. His back and barrel are completley covered in dapples and the rest of him is doing the salt and pepper thing. I have been competing with him this past month. He is only showing on flat classes currently. His first outing on April 10th, he placed 3rd twice and 4th once out of 13 horses. His next outing on April 24th, he knocked 'em dead coming in 1st twice and 3rd once again out of 13 horses. He brings up so much commotion wherever he goes. Everyone stops and asks me about him. They cant believe his sheer size, gentleness and absolutely stunning moves. Once the pictures get developed I will send them and maybe you can post a few. I just wanted to let you know how proud I am of my big baby and that I am thankful for him every day. We looked at your site and we really enjoyed it your horse's are really beautiful. We've been to your farm and we think it is lovely the Valley is breathtaking and the feeling of home is so real. The picnic's we have down the Valley when we come and the family get together's are wonderful memories for me and my children and their children, thankyou. We can't wait to come home again to see the family and take new pictures especially one's where some of us city folk get stuck in the snow up to our hips. Until our next visit to the Ranch we will keep visiting the site. What a great website Lois! It is a pleasure to surf, and Nicole loves it too! You have done a wonderful job! Hello Drielicks- You have some spectacular animals and its shows in all the beautiful photos that you love your life. It is so nice to see happy well taken care of creatures. If I was to purchase a PMU foal it would be from your farm without a doubt!! Keep enjoying life and having fun with your beautiful babies. I always take the time when I am online to look at your website. would be like to pair up an arab to a draft and you are doing it!.. the elegance and flighty spirt mixed with the docile and kind..whatta match..
Ohh someday I will make the trek out there and see what you have to offer! I wish all websites were like yours. Your layout with the stallions and the mares they are bred to is totally superior to anything I've seen out there. Truly an awesome website and the horses... words can't explain! I have book-marked your site into my favorites can't wait to see this years (2004) foals! Hi, just saw your web pages at school today. They are lovely horses. After schooling Ano for the past couple of months I have decided to give him the winter off. I only trail ride him twice a week. I wanted to let him finish developing - dont want to mess up those jumping beans in his legs! :) I just wanted to let you know that you are raising amazing jumping kids on your ranch. Ano has free jumped 5'9" with ease in the arena and he absolutly loves it. You point him at a jump and you can just see him raise up and go. Thanks so much for everything. What a great site to visit. I look forward to seeing what foals arrive for 2004. Lois, I recently purchased from you Rachelle and Ember...two of the most wonderful, well behaved, loving ponies for a xmas gift to my sons. You not only sent me those wonderful creatures but went out of your way to make sure they arrived in time for Xmas. I wanted to thank you and your family for your kindness. The horses are doing well and I look forward to this summer when the boys can ride them with my husband and I. All of your horses are magnificent and I will continue to refer to your wonderful establisment. You have shown me a better side of the PMU farms and I thank you for that. MOM AND DAD, WE HAVE THE BEST WEBSITE IN THE WORLD!! WORLD!!!! I REALLY LIKE YOUR HORSES ON THE COMPUTER!!!! Lois, you already know I love your website. It is fantastic. I need one done that is this good for my English Bulldogs! AND I CAME ACROSS YOUR WONDERFUL WEBSIGHT....IT TRULY HAS BEEN MY PLEASURE VIEWING THESE BEAUTIFUL HORSES. I WOULD LOVE TO HEAR MORE ABOUT YOU AND INFORMATION ON ANY FOALS STILL FOR SALE. MANY THANKS! Lois & Micheal! Well done, once again ! The foals from this crop are outstanding. I want to personally thank you, for pairing up the Sire & Dam of my filly, " Icey" 2002 crop. She has grown to a stunning young horse. I will have the pleasure of training and showing her for many years to come. Yes! she is of that quality and can she move! Passersby, stop by the farm just to view the Blue eyed Filly in our front paddock. Next year, I am seriously into the Draft/Color crop of foals. Your method of caring and selecting the appropriate match for each Horse is without question, well thought out. Your horses look sound, solid, healthy and happy. Thanks so much, Michael and Lois. Treasure ( TVR Haida Treasure ) is everything we could have ever hoped for. She is totally amazing, and we are head over heels in love. I highly recommend anyone who is looking for a great sport horse prospect to consider the wonderful babies you breed. The care and time you put into selecting stallion and mare matches shows in the quality of your foals. I dare anyone to call these amazing babies a "byproduct of the PMU industry". They are absolute top quality and you would be hard pressed to find nicer babies anywhere! When we get our own place and don't have to board, we will definately be back for more! Beautiful and well done - I was only strolling and have bookmarked your site - It's nice to see it's a family operation - how inspiring! And of course, the babies, and mothers look beautiful and healthy! Good Job! Hi! I am a 11 year old girl. I think your horses are PRETTY! Hi, Your babies are beautiful! I have been checking back waiting for the blessed events. Thank you so much for taking the time to share pictures of these beautiful foals, and allowing so many horse lovers to provide loving homes for these babies! Your ranch looks beautiful, and your kids look like they enjoy all the mares! Wow, what a wonderful herd you have. You obviously care very much for your horses! A number of things impress me about your farm. Your horses are lovely and solid...Well cared for and happy looking. They all have names and not just numbers. You provide great information as to the size of sire and dam...helpful for making estimates. You market your own horses instead of just shipping them to a feedlot. You give the buyer a nice insight into your farm and family. Looking forward to the 2003 babies....especially ours. HI, I FOUND YOUR WEB SITE THROUGH DRAFT HORSES FOR SALE . I ENJOYED LOOKING AT ALL YOUR HORSES . I AM PARTICULARY INTERSTED IN HAVING A SPOTTED DRAFT TEAM FOR PARADES AND WAGON RIDES. WOW! Your horses are beautiful! I am really glad that I visted your website. I was just looking for horses that were for sale. I really want to get one when I get older. I will visit your website soon! HELLO FROM ORLANDO FLORIDA, LOVE YOUR WEBSITE ,YOU HAVE BEAUTIFUL HORSES. IT IS GREAT THAT YOU TAKE GOOD CARE OF YOUR HORSES AND SELL THEM TO THE PUBLIC. I ADOPTED A PMU PAINT COLT IN 2002, AND WOULD LOVE TO TRY TO GET ONE OF YOUR DRAFT/CROSS BABIES. Wow! Your horses look awsome! I love the mixes, they look like they would be great horses! I found your website off the NAERIC's ranch link, and am thoroughly impressed with your website, your operation, and your photos! 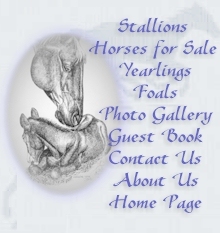 I've looked at a lot of websites for PMU foals, and have found yours to be my favorite! Great job, you should be proud of your quality product! Speaking of a quality product, your horses and PMU foals look gorgeous! I can't wait to see what your 2003 foals look like! It appears your operation is well managed and your horses well kept. I also love the idea of paint/draft mixes -- just the type of horse I'm looking for! Keep up the great work! You really got some nice horses! I may be in touch with you when I'm ready for a colt. Looking forward to seeing the new 2003 colts. Simply amazing... and to think, so close to home. I'll have to come visit this summer. I think your horses are gorgeous and I'll be looking your way when I am finally ready to find my horse. You have amazingly beautiful horses. I will definately contact you when I begin my search for a draft cross. I will be looking forward to looking at your 2003 babies. are just what I was looking for. Just took a look at your web site and you have beautiful horses!! Good for you!! I live in Illinois and would love to take a road trip to Canada to see your place. about your foals! Keep up the good work, you are producing some beautiful babies! You were so easy to work with and made it very pleasant. I would recommend doing business with you to anyone looking for these type of horses. They really have added color to our herd-big bonus! Hope to see you in 2003! What beautiful foals! If our barn wasn't already full I'd be planning a trip to Manitoba. You've also got an excellent web design - very practical with great photographs. I'M SO GLAD I STUMBLED ON TO YOUR SITE LAST MAY. NOW I AM PROUD OWNER OF BARDOT. AT EIGHT MONTHS I CAN SEE THAT I MADE A GREAT CHOICE. SHE HAS ALL I WANTED. SUBSTANCE, MOVMENT, SIZE, AND THE BEST FACE EVER AND TO THINK IT ALL CAME IN COLOUR. I INTEND TO SHOW HER IN THE DRESSAGE RING. WHICH I HAVE ALWAYS DONE. NOW I WILL BE THE STAND OUT SPLASH OF COLOUR IN AN OTHERWISE SEA OF BAYS. COULD NOT BE HAPPIER OR MORE EXCITED. look forward to purchasing another in 2003. Very nice foals. I will watch for your 2003 foals. Your mares and foals look wonderful! I'll be keeping this bookmarked for future reference. What a beautiful picture of nature at its finest! You are so lucky to have these horses and land. I hope to buy one from you this summer. I was looking at your website, and I enjoyed it very much. You have beautiful horses. I love your Percheron stallion! As soon as I get my barn built I'll be calling about a draft cross from your farm. They just don't breed these type of horses here in Florida. I was especially interested in seeing your draft horses and draft crosses. My favorite, however, is Buck. What a beauty he is! I LOVE the looks of your horses. I think it's a great idea to cross the drafts with a bit of color. I also appreciated the personal touch you added to the website by telling about your family! I have enjoyed looking at your crop of 2001 foals. Will be back in a month or so to look at what has not been sold.